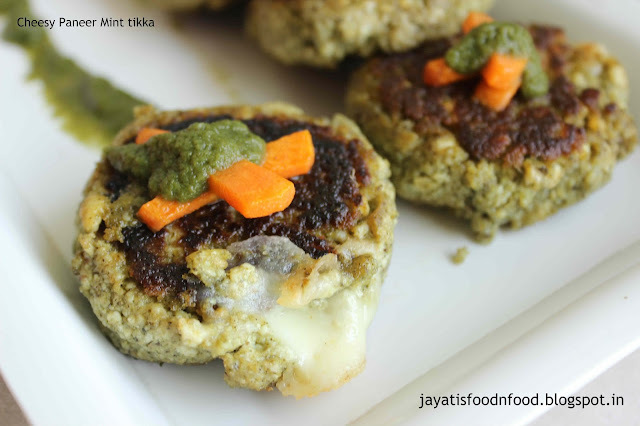 Jayati's Food Journey - Enjoy!!! Please do visit the new site and share your feedback, if any, to do it better, Thank you for all your support and encouragement. It means a lot !!! 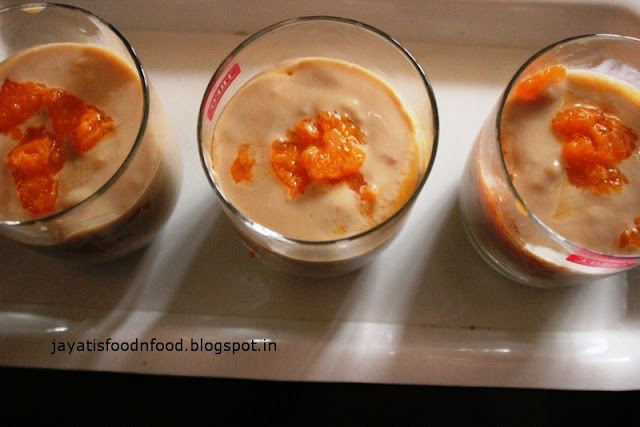 Had some guests at home, and served this Orange milk pudding as dessert. 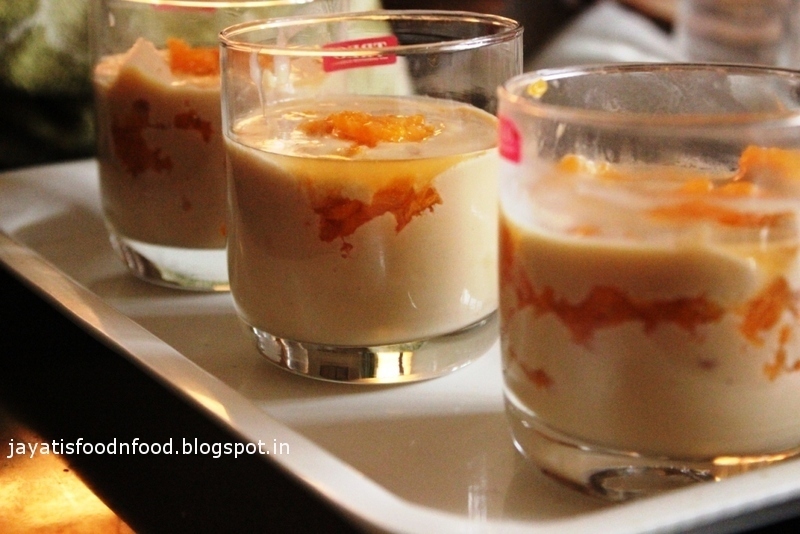 This is quite a traditional recipe where milk is thickened over low heat and then sugar is mixed to it. When it is cold, orange segments are added to it carefully. 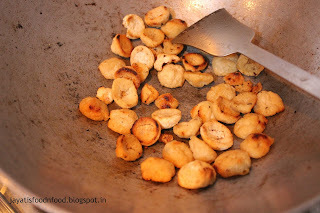 The result is a brilliant and you can enjoy it the Bengali way with some luchi and Aloor dom. Though due to paucity of time, I have used condensed milk along with regular milk and added just 2-3 spoonful of sugar. It also depends on how sweet your oranges are. 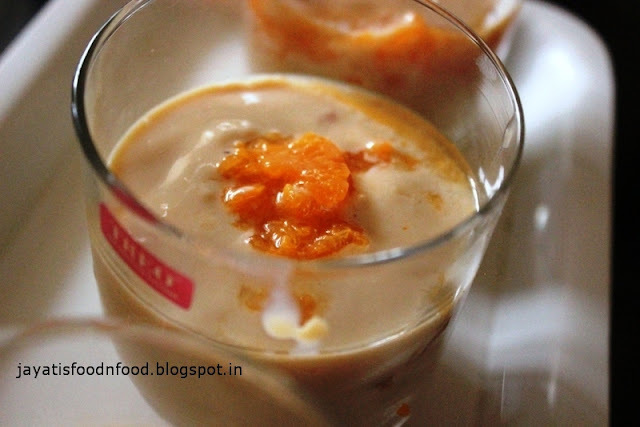 You have to be very careful, if the orange is sour, the kheer will curdle leaving you disheartened. In a large Kadai, add the milk and condensed milk and mix well. Now put the kadai on gas and reduce the flame to the minimum. Add the spoonful of ghee too. 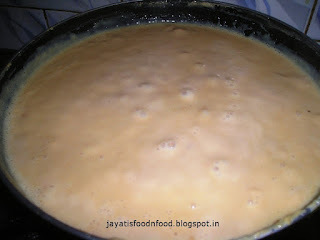 Boil the milk continuously for 30 minutes with a stiring here and there so that it doesnot stick to the bottom of the pan. 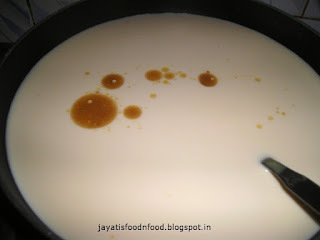 You will notice that the milk is getting thickened. When it is almost done, add the sugar, if required. Stir again. Remove from it. Cool it completely. 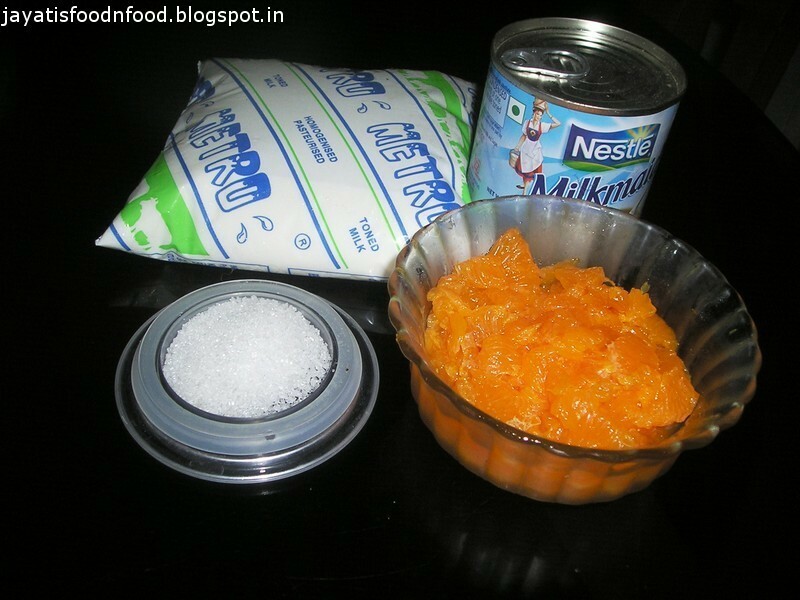 When the milk is getting thickened, carefully remove the pulps of the oranges discarding the seeds, piths etc. Keep it refrigerated. 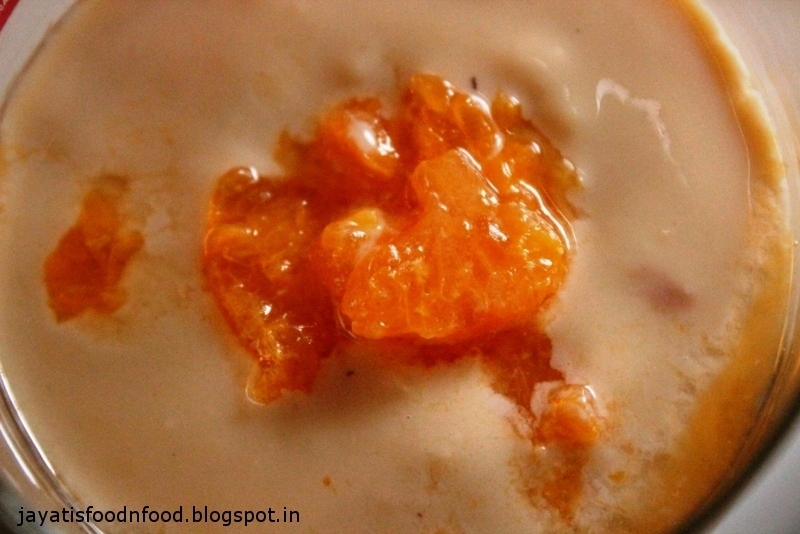 Place the kheer on the serving bowl, spoon the orange pulp onto it and serve immediately. Yum !!!! 'Neem Jhol' is a light mixed vegetable stew with the goodness of 'Neem Pata' or or young Neem leaves. 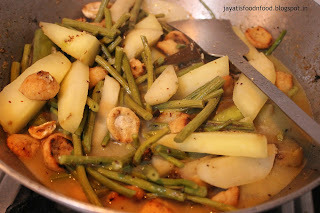 This is a must in my household during Spring as part of weekend lunch. 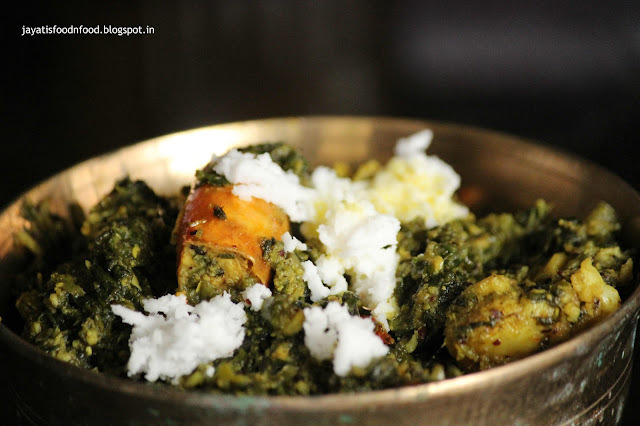 Young Neem leaves play a significant role in Bengal cuisine during this time of the season as it is known to have many medicinal benefits and handles the evils of season change. 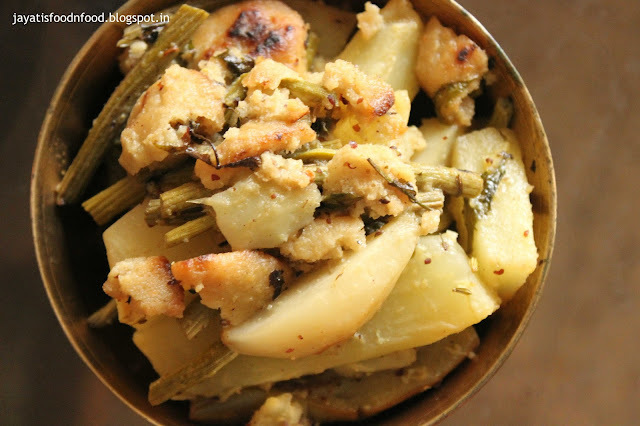 The light stew will also essentially contain 'Sojne Data' or moringa or drumstick, another healthy veggies to tackle the season change nuisances along with Bori or dry lentil balls. 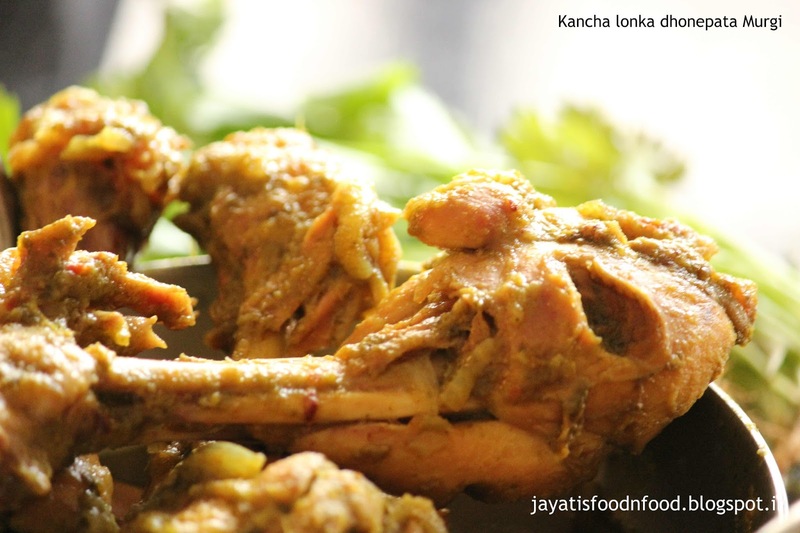 The dish will have a bitter sweet taste with a rich aroma of Ghee or clarified butter. 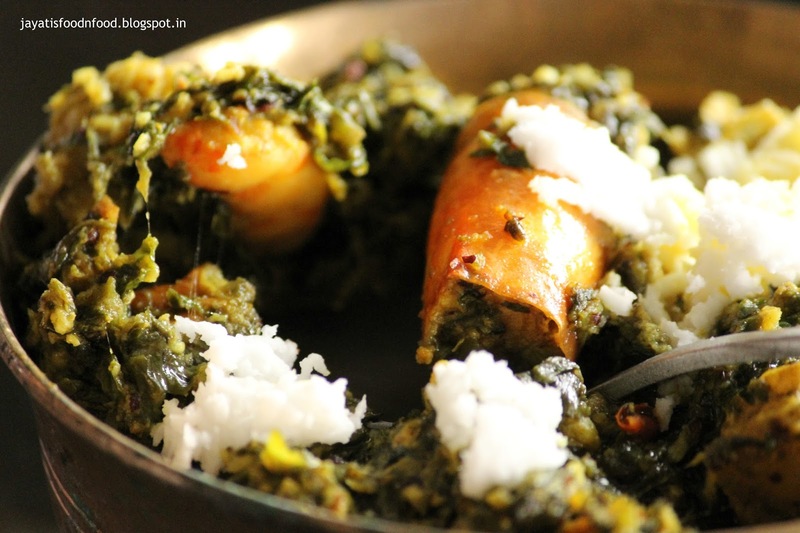 Best enjoyed as the first course of meal with plain white rice. 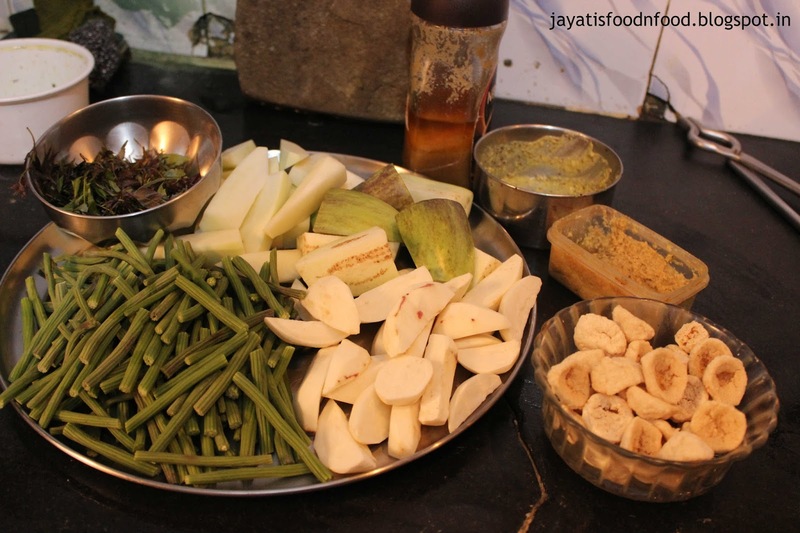 Cut all the vegetables in approximately same size and saute them with a pinch of salt in white oil. Keep aside. Lightly saute the bori in little oil till golden brown and keep aside. 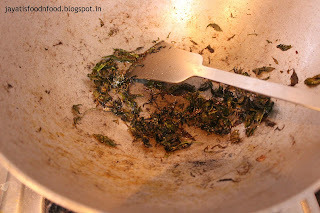 In the same pan, roast the tender neem leaves till crunchy. Keep aside. 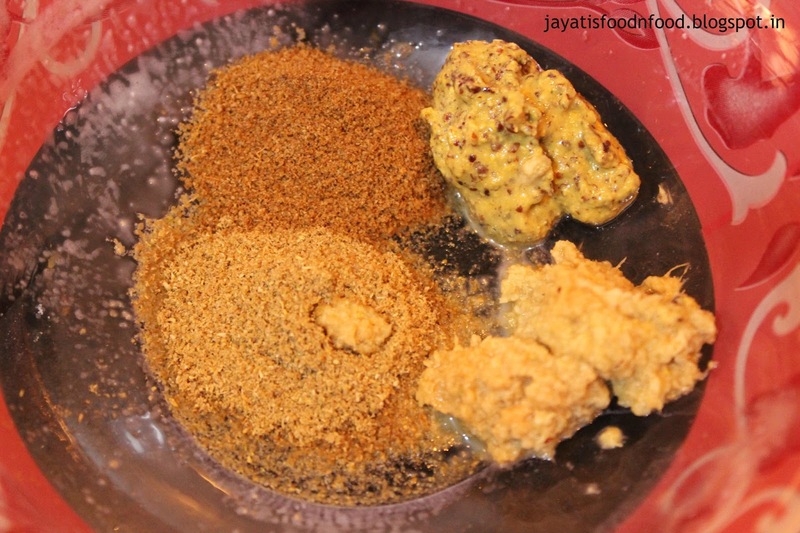 In a bowl, mix cumin and coriander powder, ginger paste and mustard paste. Add a cup of water and mix well. 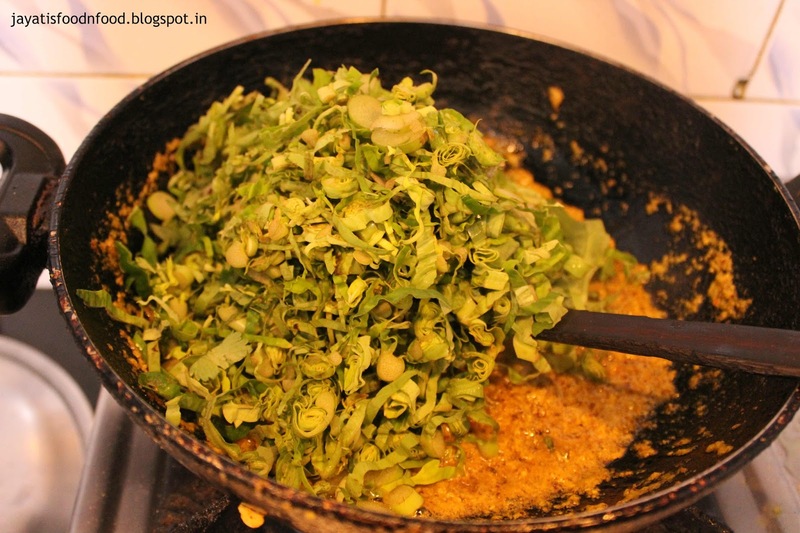 In a deep pan or karai, heat the ghee and add two three bay leaves. 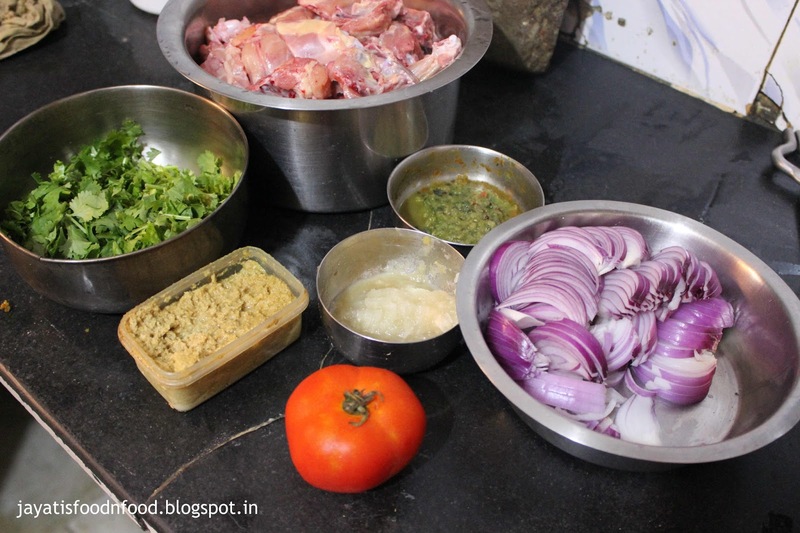 Now add the masala water and let it boil. 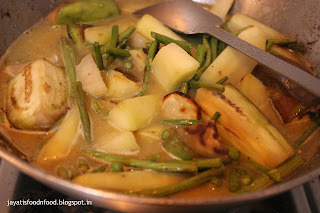 Add the sauteed veggies into it and cook covered over low heat. When veggies are almost cooked, add salt and the fried bori. 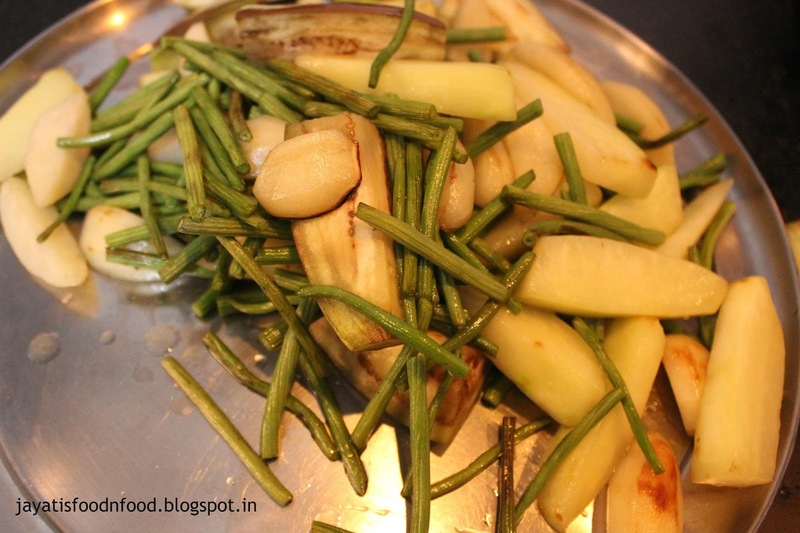 Mix carefully and cook for 2-3 minutes more. When water is reduced and veggies cooked well, add the fried neem leaves and give it a good stir. Check the salt. Next goes the sugar. 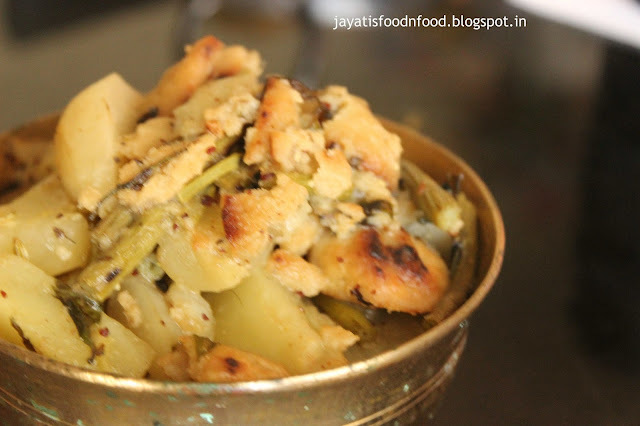 Switch off the heat and add a good dollop of ghee at the end. Keep covered for 10 minutes. 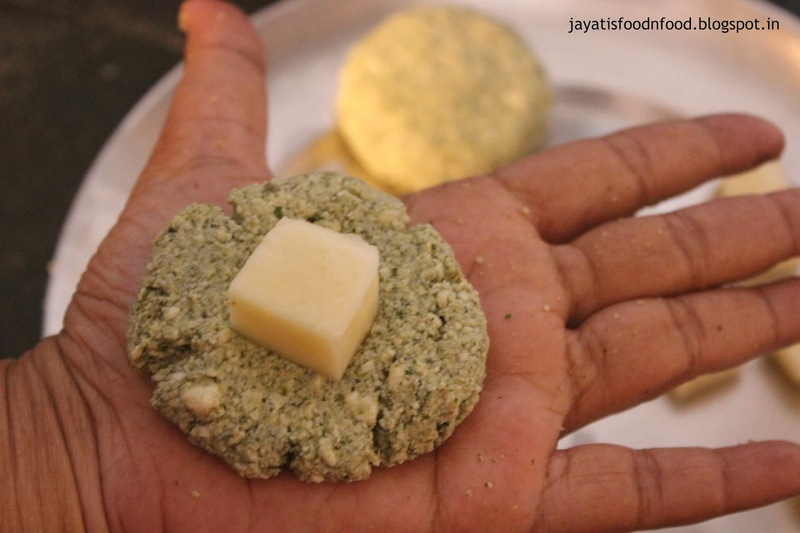 Some healthy snack for your loved ones, you can serve it as starter with a minty dip or have it the Indian way, with rice and daal. The flavors of mint blended well with the paneer and suppressed its otherwise bland taste. 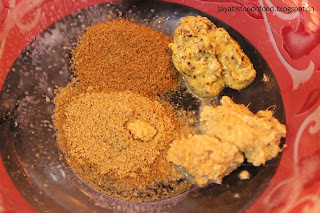 You may add a pinch of chat masala as well for some extra kick. 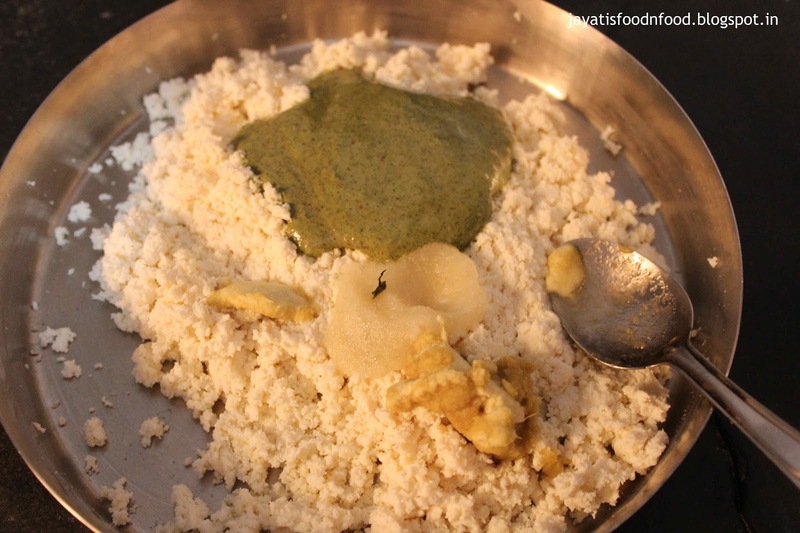 Mash the paneer using a spatula. 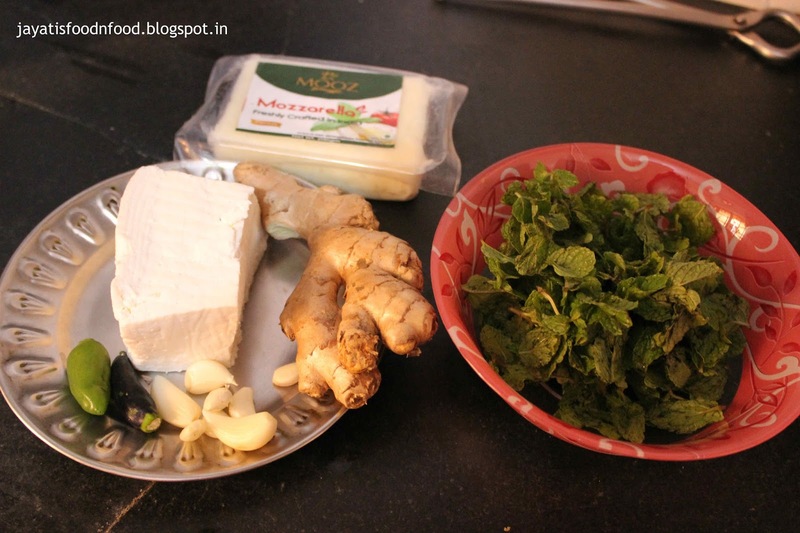 Now make a paste of curd, pudina/mint leaves and the green chilli with a pinch of salt and sugar. 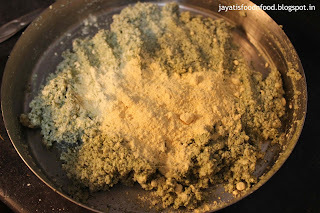 Add the mixture and ginger garlic paste to the mashed paneer. Knead well. After 10 minutes, spinkle the besan / gram flour and knead again. You should be able to form a ball using the paneer mixture. Now take small amount from the paneer dough and place one cheese cube at the centre. Take some more dough and make a ball covering up the cheese cube. Cheese should not be exposed outside. 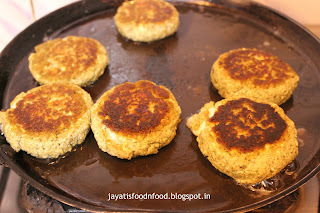 Then press them lightly to form a disc or tikki and keep aside. 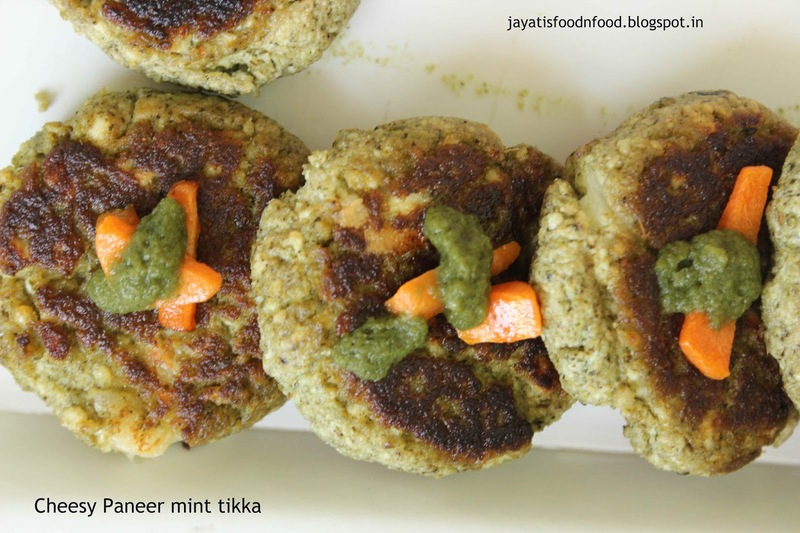 Prepare all the discs / tikkis and keep it in the refrigerator for 15-20 minutes. 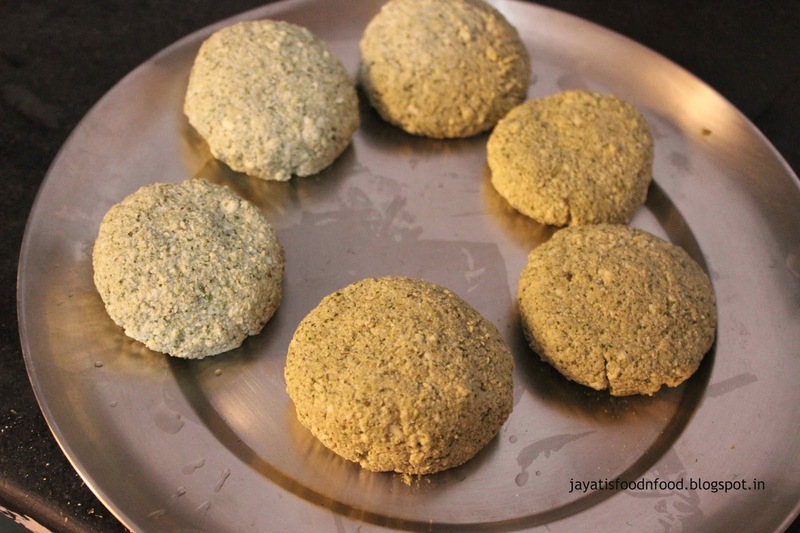 Heat butter on a flat tawa and spread it to make a thin coating of butter onto the tawa. Place the tikki side by side and shallow fry till golden brown from both the sides. Serve with salad and Pudina Aaam ke Chutney. We have this Bangladeshi restaurant in Kolkata named Kasturi where we have tasted this delicious dish for the first time. 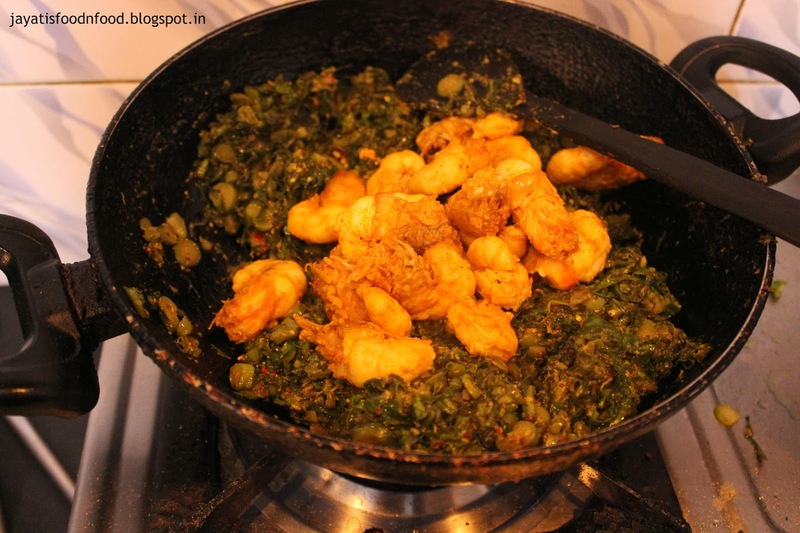 Here the prawns are cooked with kochu pata or young colocasia leaves with coconut and mustard paste. 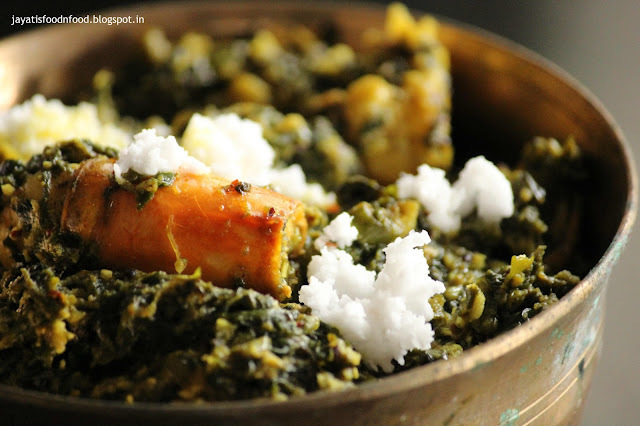 Flavor of Mustard oil is very dominant in this dish and you have to be really really careful about the leaves, since colocasia leaves may give you an itchy throat. 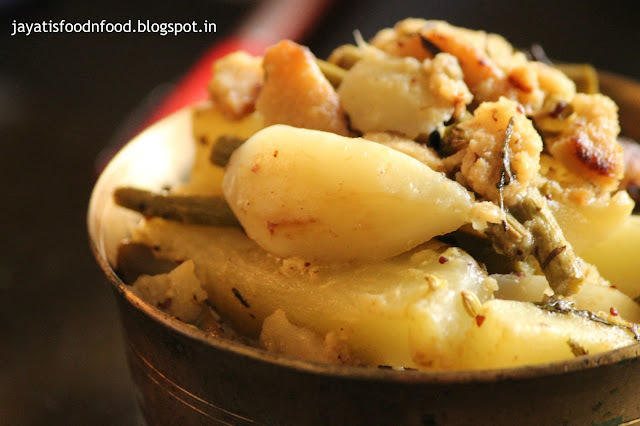 In a nutshell, a dish not for the faint hearted. 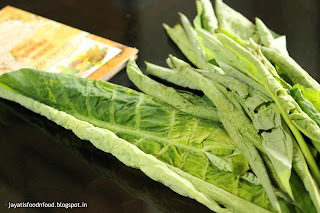 Boil the colocasia leaves in hot water and then discard the water. This is a mandatory step to omit the itchiness of the throat. 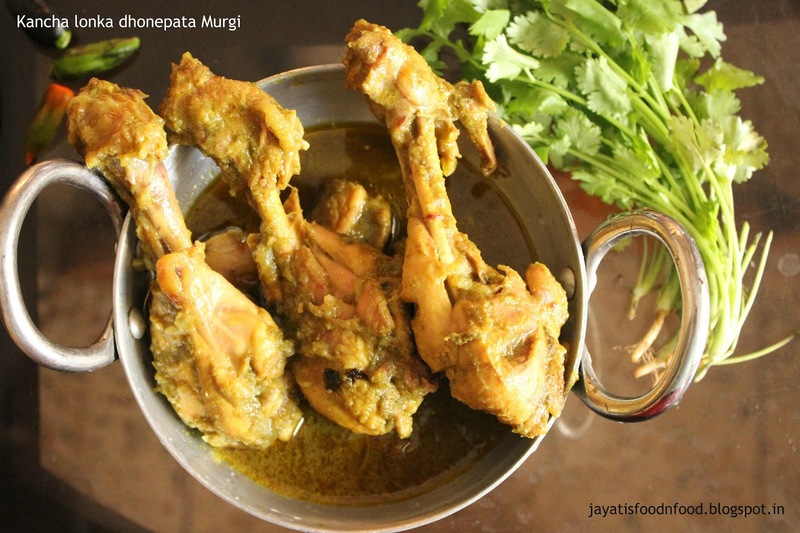 Now pour mustard oil in a pan. 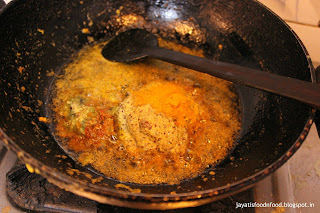 Lightly fry the prawns with a pinch of salt and turmeric and keep aside. 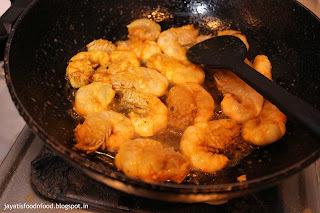 Remove the prawns, then in the same oil add the mustard paste, sugar, salt and turmeric, Fry quickly. Now add chopped leaves which were steamed in the hot water. 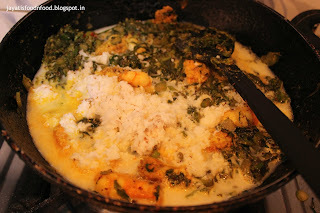 Stir it to mix with the masalas, then add the fried prawns. 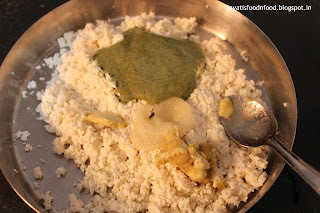 Cook over low heat for 5 minutes, then add the coconut milk and desiccated coconut. Cover and cook till the milk dries up and oil starts coming out the sides. Adjust the seasoning. 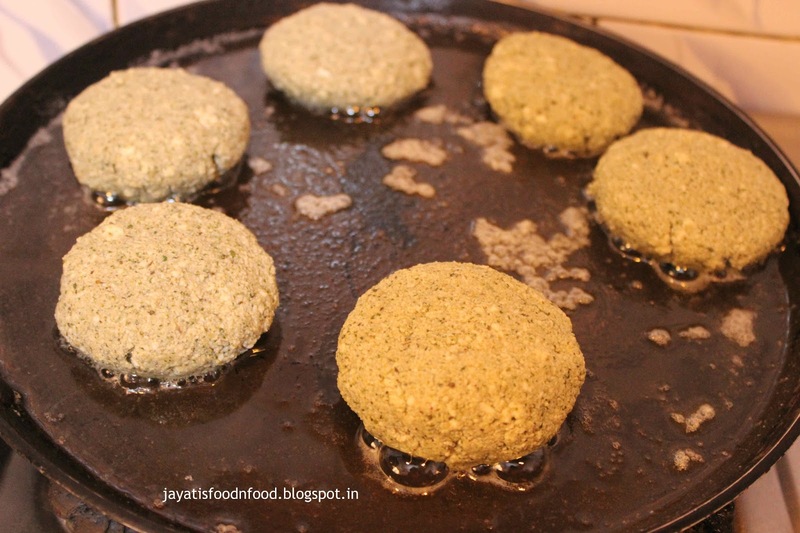 Switch off the heat and then pour one or two tbsp of mustard oil more over it. Keep covered for some time. Sprinkle some more desiccated coconut and serve with plain rice. You may add some more chopped green chillies, if you can handle the heat. Enjoy !! Learned this new technique to cook chicken from my friend Pritha. When I was planning our SUnday lunch, hubby asked for some dhonepata murgi, which prompts me to search the net for a recipe and voila,, Pritha's recipe came in front. 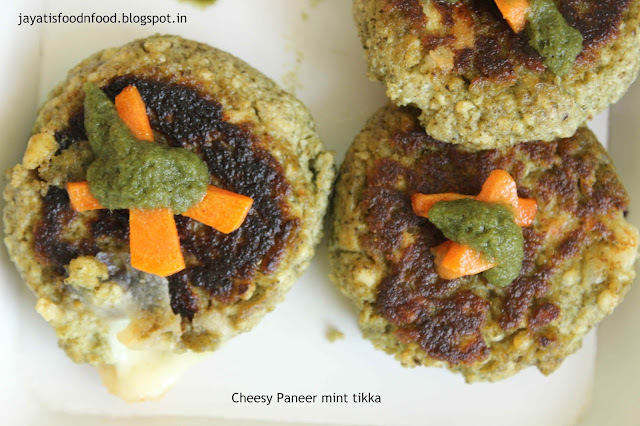 I was so happy since I have followed her other recipes and those were superb hit. She really explains the steps so meticulously that you can be rest assured, the outcome would be fantastic. 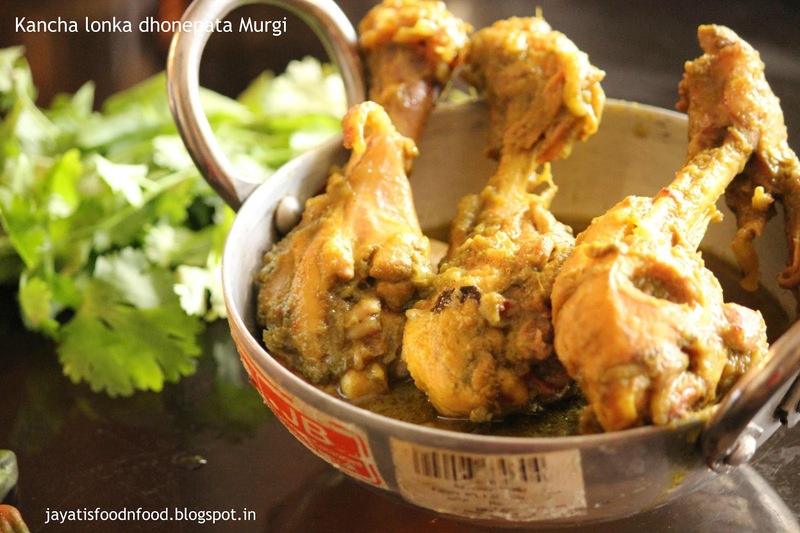 This kachalonka dhonepata murgi or chicken cooked in paste of coriandar leaves and green chilli is a recent addition to many of the Bengali eateries in Kolkata. So we can safely say, enjoy restaurant style food at the comfort of your home. 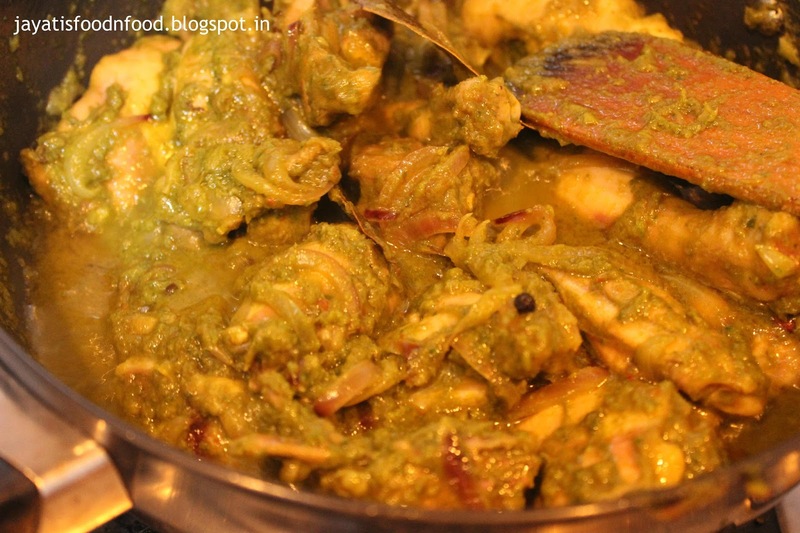 Make a paste of green chillies, coriander, tomato, 2 onions, 1 tbsp each of ginger and garlic paste, mustard oil and a little bit of salt and marinade the chicken pieces with it for 2-3 hours. Heat a heavy-bottomed non-stick pan and add oil. 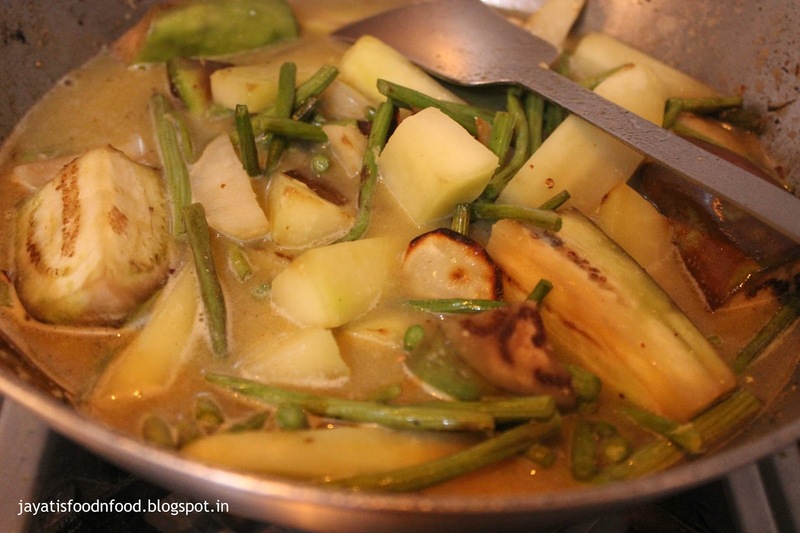 Once it is hot, add the bayleaf and whole garam masala and stir till they release aroma. Now add the chopped onion, remaining ginger and garlic paste and saute for two minutes. 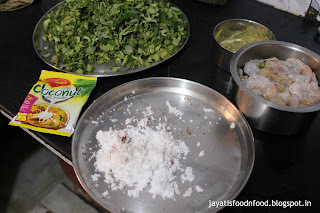 Add salt and sugar and continue to saute till oil is released. 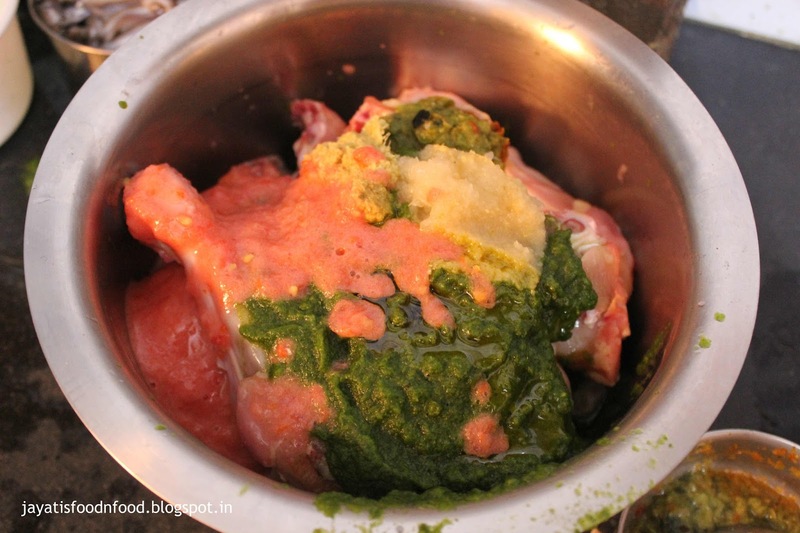 Now add the chicken pieces with marinade and stir for 5-6 minutes till the raw color is gone. Cook covered for 10 more minutes over low heat till the water comes out of chicken dries up and oil starts coming out. 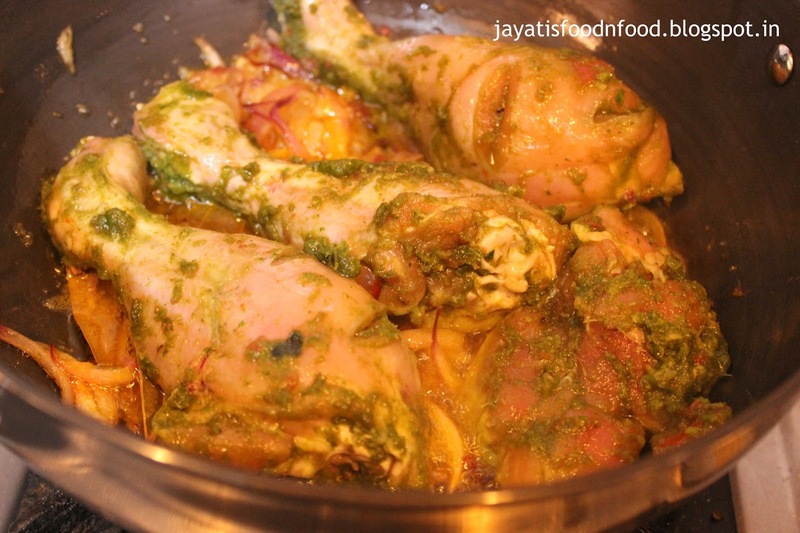 Add a cup of warm water and cook till the chicken is cooked thoroughly. Now increase the heat till the gravy thickens an if you want a little bit of gravy, but I personally prefer it on the drier side. Allow to cook for another 2-5 minutes on high heat till the gravy thickens. Adjust the seasoning. 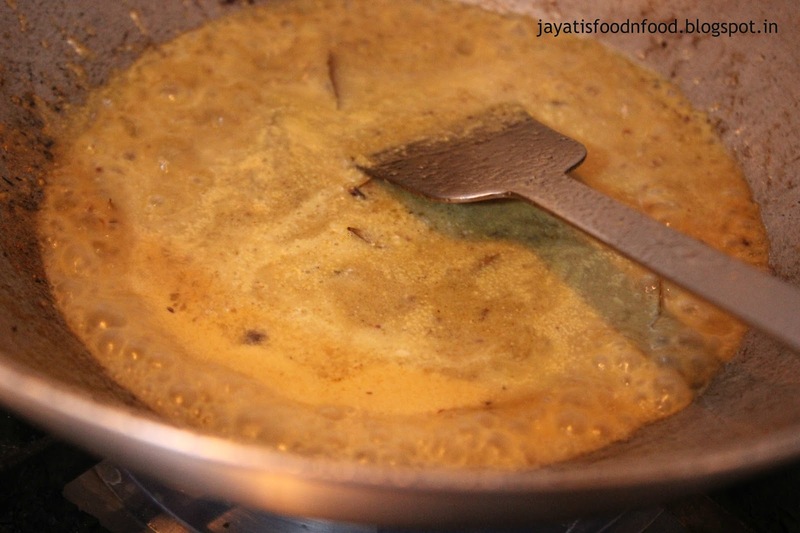 Sprinkle the ghee, give a final stir and serve hot with rice or roti. 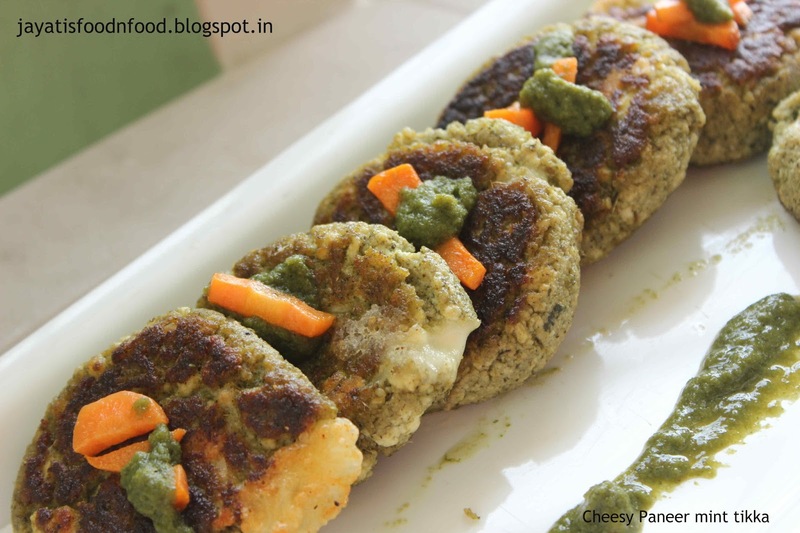 "Cooking is a stress-buster for me after a hard day at work." 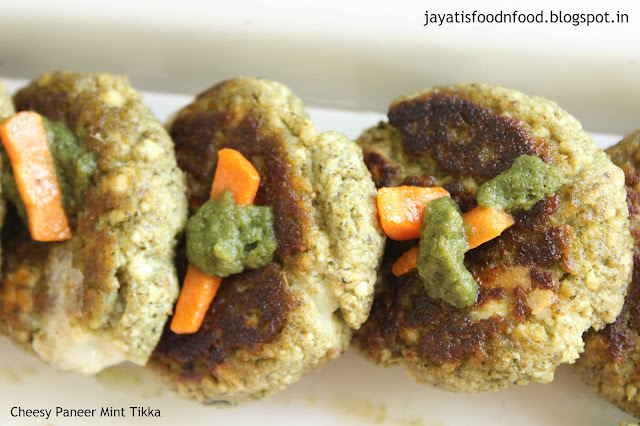 jayatis food n food. Theme images by linearcurves. Powered by Blogger.